I stopped by the Falafel Drive-In for one of my favorite lunches. While I was ordering a Falafel Pocket Sandwich* I noticed a familiar face on the window. There was Guy Fieri, of food network, on a leaflet about an upcoming program. 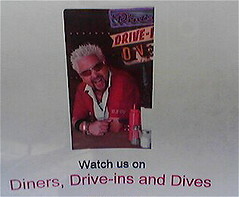 Guy, the host of Diners, Drive-ins and Dives, paid a visit to our very own Falafel Drive-In. The episode will air October 1st at 10pm. 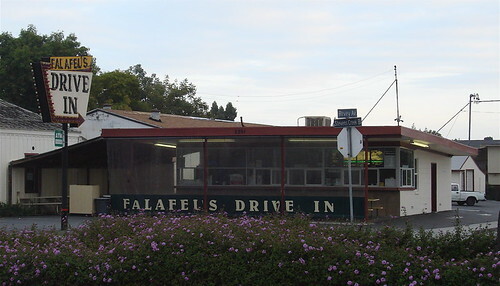 Falafel Drive-In at 2301 Stevens Creek Blvd – In the Burbank area. *Falafel pocket sandwich: pita bread stuffed with lettuce, tomatoes, cucumbers and falafelballs (made of deep-fried ground chickpeas) and tahini sauce. During my last visit to The Tech Museum I was able to speak with Mayor Chuck Reed. Curious to know what The City of San José planned to focus on now that the plug wires had been pulled on the Grand Prix, I took this opportunity to ask. Mayor Reed seemed enthusiastic about the time that could now be spent on ZER01, or in the case of San José – 01SJ. It just so happens that there will be a ZER01 event tonight at the San José City Hall Rotunda. Artist Camille Utterback will unveil Abundance. * Thanks to elkit for the photo. Living Under the Proverbial Rock? 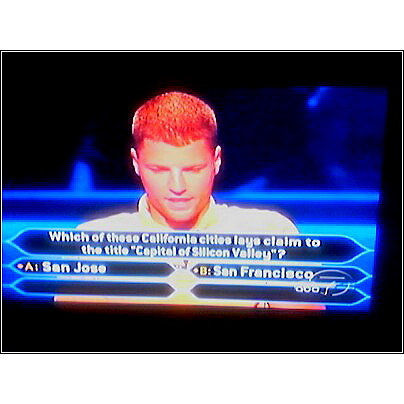 On a recent Who Wants To Be A Millionaire, one contestant got a most difficult question. It was so beyond his expertise, he had to reduce the possible answers by using his fifty-fifty. Then, and only then, with a wild guess managed to get it correct. Which of these California cities lays claim to the title “Capital of Silicon Valley”? As I walked into The Tech Museum of Innovation, for a special preview of the new Body Worlds 2 & The Three Pound Gem exhibit, I did so with an open mind. I was pleasantly surprised to find the exhibit, even though in some cases staged with humor, tastefully done. 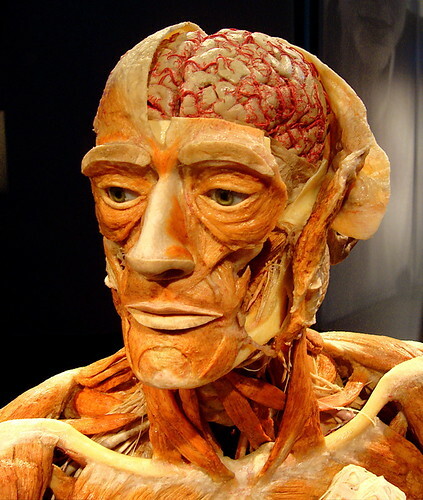 This collection of human plastinates is an enlightening and informational look at our bodies. The message that ‘smoking is bad for you’ is an old one that is often ignored, but there is no ignoring the preserved black smoker’s lung. It will grab your full attention. Moving through the exhibit I was not put off. To the contrary, I was struck with the marvel that is life. I came away from the presentation with admiration for Dr. Gunther von Hagens scientific contribution. I would like to thank The Tech and Body Worlds for a most enthralling tour and press conference. They have brought a not to be missed hit show to San José. Let the Children Play Music Festival is a benefit concert for two beneficiaries, both global in reach to raise awareness to children and youth programs – Feed The Children and Debra and Carlos Santana’s Milagro Foundation. Hosted by Bay Area radio personalities Greg Kihn, Morris Knight, Miranda Wilson and Ramon Johnson the event will feature three stages of live music including Jazz, Reggae World, Blues, and Rock artists. List of artist scheduled to appear. The event will also feature a kid’s area (arts, crafts, games, giant slides, obstacle course, activities center), fine foods, arts and crafts vendors, and a Jazz Cafe. A percentage of the proceeds from all sales of food and beverages along with sponsorships are being directed to the beneficiaries. The mission of Feed The Children is to deliver food, medicine, clothing and other necessities to individuals, children and families who lack these essentials due to famine, war, poverty, or natural disaster. Milagro (“Miracle”) is Deborah and Carlos Santana’s charitable foundation that supports underrepresented and underprivileged children and youth in the areas of arts, education and health. Attendees can make donations at the information booth or at the charity booths as well. Free admission; parking, directions and transportation options here. Now that I have your attention… Ferdinand Graf von Zeppelin, a German cavalry officer, built the first airship. It flew for 18 minutes on July 2nd 1900. Zepplin is now a common word used to describe any rigid airship. You can follow the dream on their blog Up Ship! and check out the business opportunities on Airship Ventures. Performing this year: The Steve Miller Band, the Greg Kihn Band, Big Brother and The Holding Company, and from San Jose our own Doobie Brothers. Go early, the doors open at 4:30, to see two South Bay bands performing on the side stage. Redwood City-based rock band Lane Four and Crimes of Passion from San Jose. The Flagship Detroit made a special visit to San Jose CA yesterday. The Flagship Detroit Foundation which owns the vintage DC-3 makes stops in many stations that American Airlines operates out of as a show of appreciation to the many AA employees system wide who helped contribute to preserve the aircraft. Manufactured in Santa Monica, CA (year 1937) the Douglas DC-3 G120 is powered by twin Wright Cyclone engines with Hamilton Standard propellers. The engines are rated at 1350hp Model No. 1820-56. The DC-3 has 4 tanks which holds 201 gallons each with a flight range of 1,215 nautical miles. The cabin holds 21 passengers, 2 pilots, and 1 flight attendant, wait I meant “stewardess”…1937 right? Poetry Center San Jose is hosting an all-day outdoor festival celebrating poets and poetry from California this Saturday at History San José. Poetry readings, book signings, opportunities to meet with editors, books for sale, small press fair, along with food and wine available from local restaurants. History San José has many picnic tables. 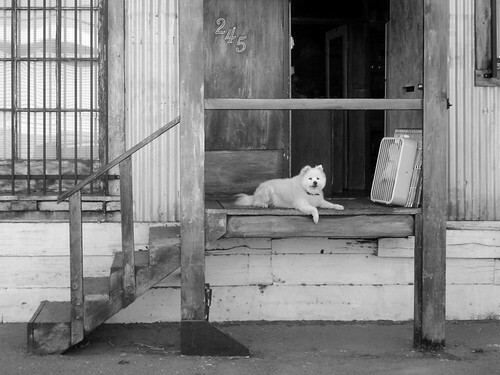 Featured California poets include Robert Hass, Francisco X. Alarcón, Ellen Bass, Victoria Chang, Wanda Coleman, Jane Hirshfield, Diem Jones, in addition to student poets. Readings are outdoors in partially shaded seating in front of the Markham House. The Edwin Markham House is a Victorian home where poet Edwin Markham lived in the late 1800s. The house was moved to History San José in the late 1980s. The house is now headquarters of Poetry Center San José. For information including schedule, poet bios, small presses and literary magazine participants check here. Earlier post about History San José here. No, they did not move. The Sharks unveiled their new sweaters Monday afternoon; that new look that is teal happy. Season ticket holders are the first fans to see the new sweaters in Monday night’s Teal & White Game (scrimmage). Everyone else? Well, believe it or not, the first home pre-season game is this Friday against Anaheim; followed by Saturday’s game against Vancouver. Yes kids, hockey season is upon us.